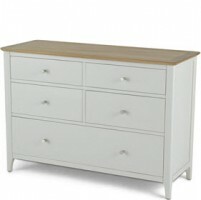 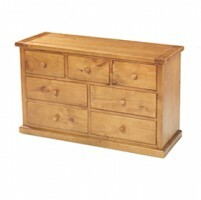 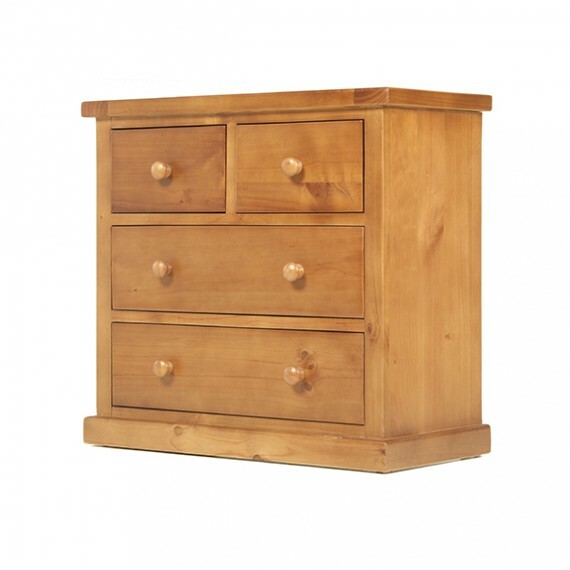 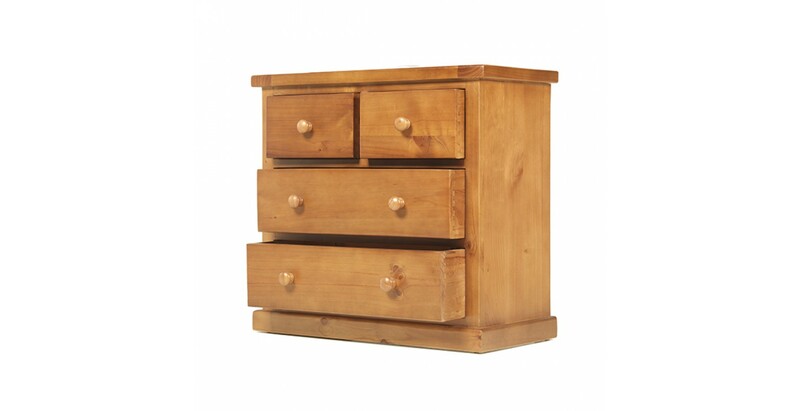 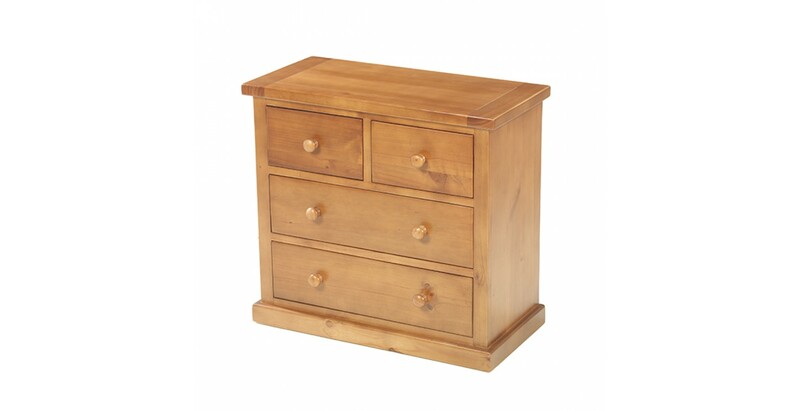 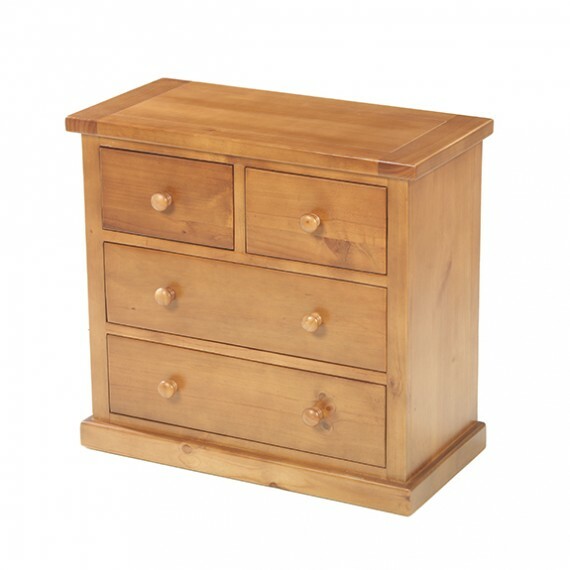 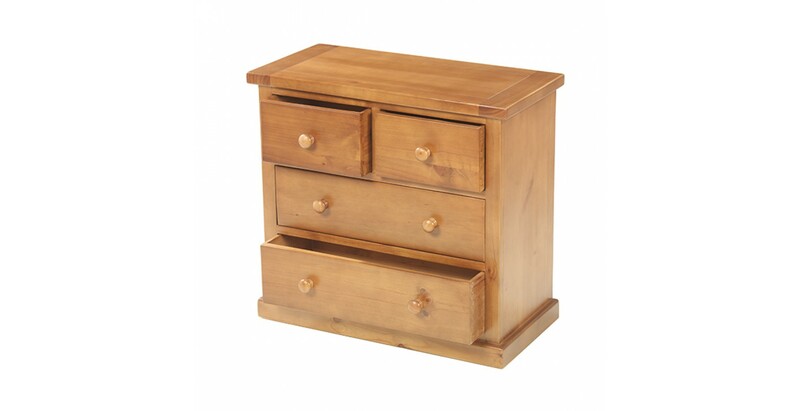 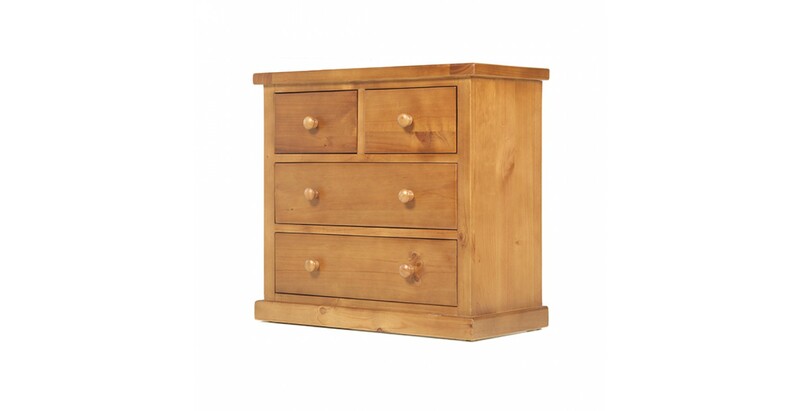 There's something reassuring about the solid appearance of this handsome chest of drawers. 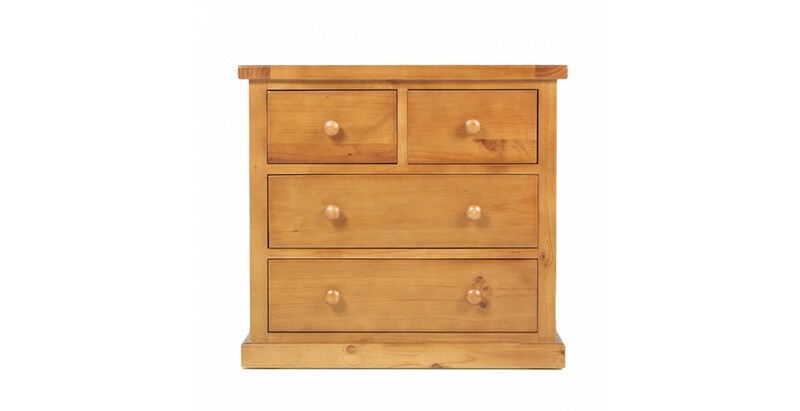 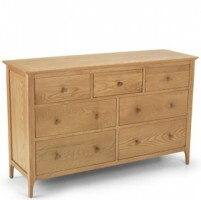 It may look like oak but it's actually solid pine and all the more wallet-friendly for it. 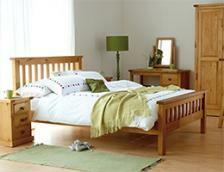 There's no compromise on quality though. 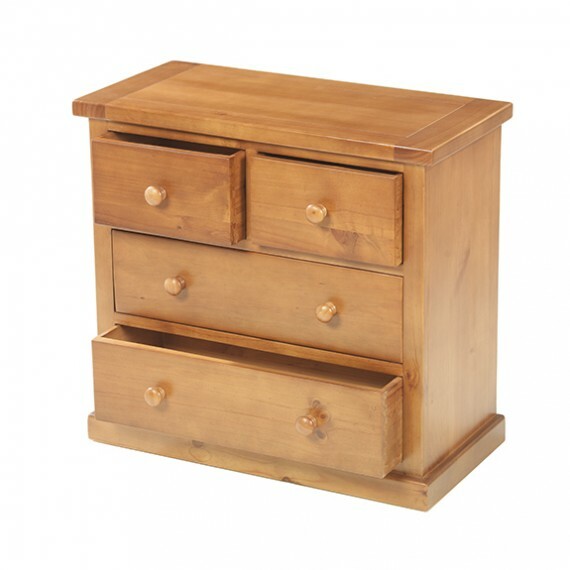 It's been crafted using age-old joinery techniques to give it strength and durability, then stained and lacquered to ensure its rich grain and natural beauty come through to perfection. 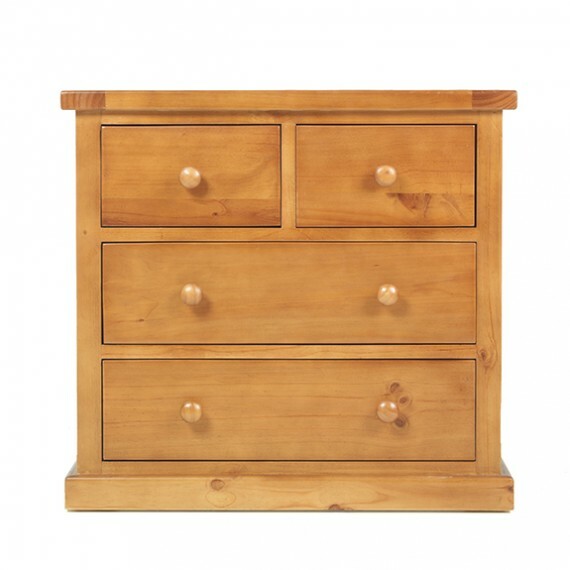 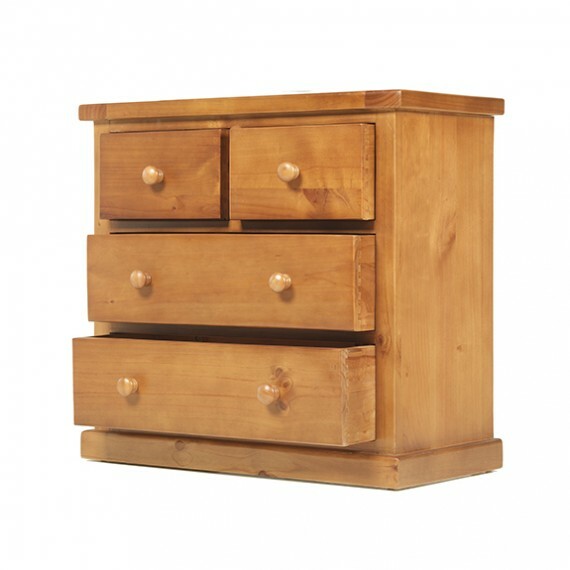 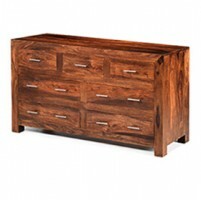 Four dovetailed drawers with chunky wooden knobs take care of clothes chaos and its sleek lines mean it will be at home in both contemporary and traditional backdrops.